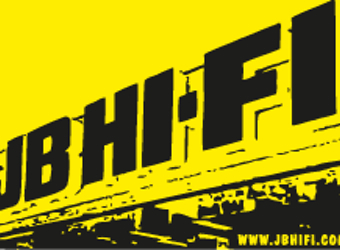 In contrast to predictions about the decline of traditional retailing in Australia, JB Hi-Fi has captured the confidence of local consumers, with new research showing it has the strongest reputation of any company in the country. Results from the 2014 ‘Corporate Reputation Index’ released today show JB Hi-Fi has the highest ranking of all 60 companies measured in the annual report, which is part of a global study conducted each year by research consultants AMR in conjunction with the Reputation Institute. The electronics retailer was closely followed by Australia Post, Mazda Australia, Toyota (which ranked first in 2013) and Nestlé Australia, respectively. One of JB Hi-Fi’s major competitors, the Good Guys, also fared well in this year’s results ranking 6th overall. A number of large organisations are showing signs of difficulty in the area of reputation management, with both Ford Australia and Holden falling significantly in this year’s rankings. Holden lost its place in the top 10 companies, dropping 25 places to rank 35th overall this year. Ford fell from 20th in 2013 to 49th in this year’s list. AMR’s managing director, Oliver Freedman said other company reputations that have suffered as a result of decisions related to local manufacturing include Coca Cola Amatil – its overall ranking fell from 28th last year to 45th this year. While its financial performance was rated strongly by Australians, it was viewed as having poor levels of leadership, citizenship, governance, and workplace. Qantas dropped from 13th in 2013 to 26th in 2014, and AMR says this is linked directly to its decision to retrench local workers. It also ranked in the bottom five for the individual measurements of workplace, leadership, performance and innovation. “The announcement of Qantas’ redundancies shouldn’t have had such a serious impact on the airline’s overall reputation, but the company used up a lot of goodwill when it shut the airline down several years ago,” Freedman says. Companies in the media sector also suffered this year. 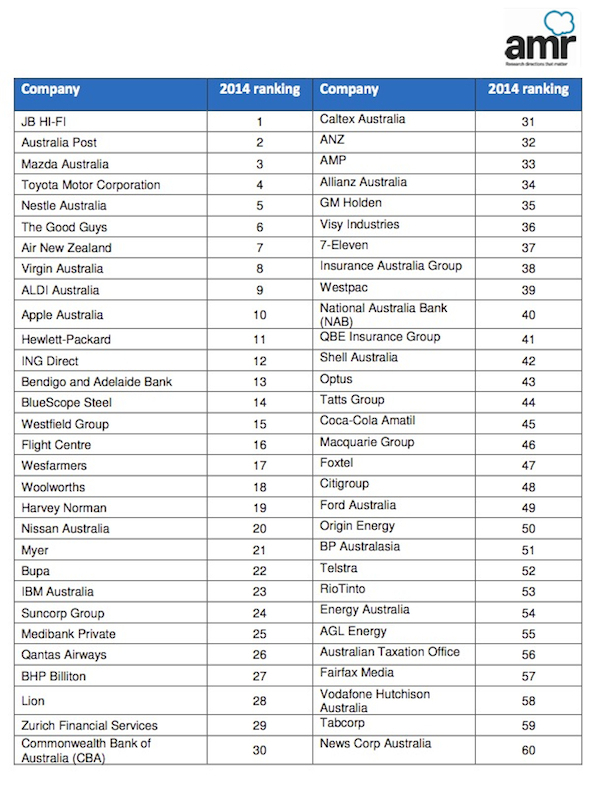 News Corp Australia fell from 55th last year to take bottom place (60th) in the 2014 rankings. Similarly, Fairfax dropped from 49th last year to 57th this year. Both organisations now rank below the Australian Tax Office for overall reputation.